The PlayStation Network will be going offline next week for some scheduled maintenance. The maintenance will start from Monday, March 4th at 16:00 GMT and will last until 3:00 AM on Tuesday, March 5th. 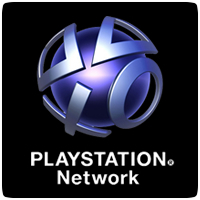 If you wish to play online during the maintenance window, you’ll need to sign-in to the PSN before the network goes offline. During the maintenance window, the PlayStation Store, Account Management and other PSN related services will be inaccessible. Hopefully, the maintenance won’t over-run this time around.